One of the pleasures in working on the creation of the Elizabeth Garrett Anderson Gallery was to be able to help bring back to life the only surviving wallpaper created by the firm of ‘Rhoda and Agnes Garrett Household Decorators’. I first came across the design in the form of a small, rather indistinct, black and white photograph in Decoration and Care of the Home by Mrs Millicent Vince. 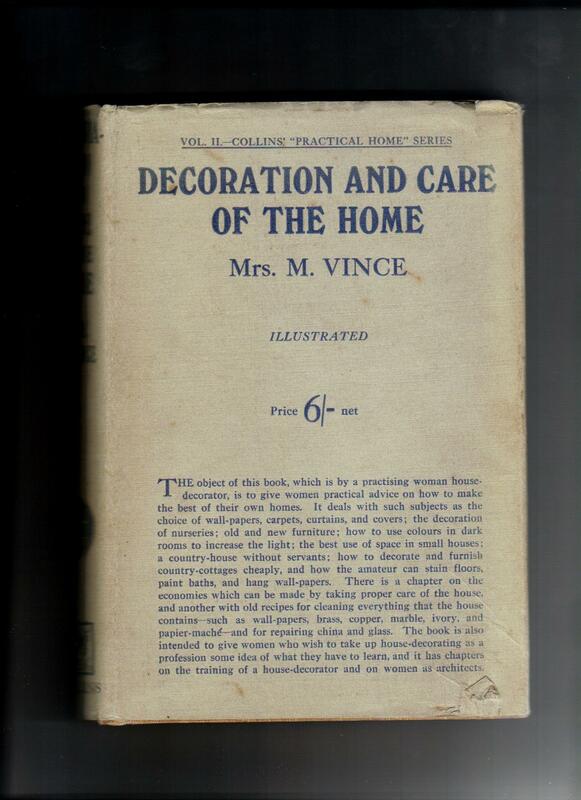 The book was published in 1923 and is dedicated to Agnes Garrett, with whom Millicent Vince had trained. The photograph labelled ‘Garrett Laburnum’ appears alongside one of ‘Willow Bough’, created by William Morris in 1887. ‘Garrett Laburnum’ is likely to date from around the same time.. 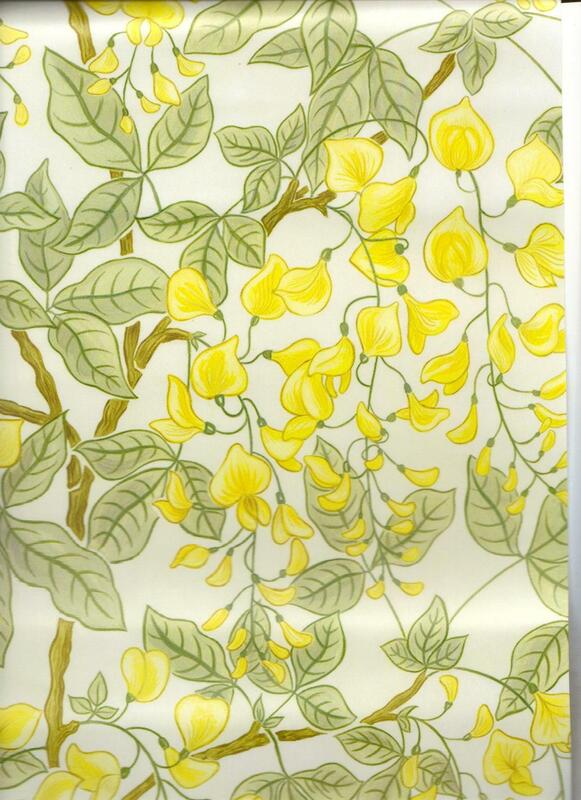 Although we do not know exactly how the original wallpaper was coloured, wallpaper artist Pip Hall did a wonderful job of re-creating ‘Garrett Laburnum’ using the soft greens and yellows that surviving comments indicate were predominant in Agnes Garrett’s palette. Click here to see how ‘Garrett Laburnum’ is displayed in the Elizabeth Garrett Anderson Gallery. For much more information about Rhoda and Agnes Garrett as the first women professional decorators see Elizabeth Crawford, Enterprising Women: the Garretts and their circle. This entry was posted on July 17, 2012, 7:12 pm and is filed under The Garretts and their Circle. You can follow any responses to this entry through RSS 2.0. You can leave a response, or trackback from your own site.